For the 25th year, the American Dialect Society has chosen a word of the year by a live and occasionally rowdy vote in a roomful of linguists at their annual conference. Here are some of the words that made an impact this year. The overall winner this year was #blacklivesmatter, the hashtag that emerged after the deaths of Michael Brown in Ferguson, Mo. and Eric Garner in Staten Island, NY. 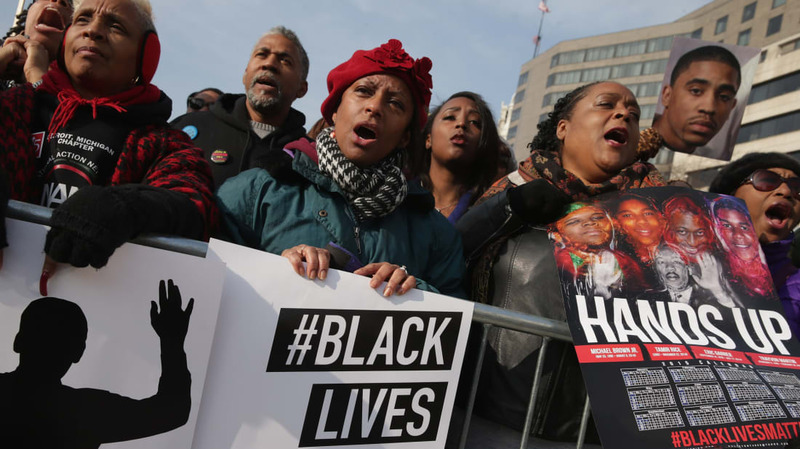 According to Ben Zimmer, chair of the New Words Committee of the American Dialect Society and language columnist at the Wall Street Journal, “While #blacklivesmatter may not fit the traditional definition of a word, it demonstrates how powerfully a hashtag can convey a succinct social message.” It is not just a three-word phrase, but a phrase used in a new way as a single entity. Turning a phrase into a hashtag can often give it a specific, word-like force, and that’s why this year a whole new word-of-the-year category was introduced, “Most Notable Hashtag”. #Blacklivesmatter won that category and then went on to win for word of the year. Even won over another popular contender, budtender, meaning “person who specializes in serving marijuana to consumers, especially in legal dispensaries." In the “most creative” category, narcissistick “a pejorative term for a selfie stick,” proved to be so unpopular, it was moved to the “most unnecessary” category. Platisher was a word coined for an “online media publisher that also serves as a platform for creating content.” All agreed it was way too awkward (and evocative of a platypus) to stick around much longer.